So... the heck with the challenge. LOL I don't see any category I haven't finished already where this book will fit. But I loved it, so I read it, and I'm writing about it. Having grown up in the 70s and 80s, how could I resist a Judy Blume book?? It turns out this one has been in the works for quite a while. See, it's based on some factual events from when Blume was in eighth grade in Elizabeth, New Jersey. Luckily, this is all covered in the notes at the end of the book, but I'd already done some of my own research when I found the story events unfolding intriguing. 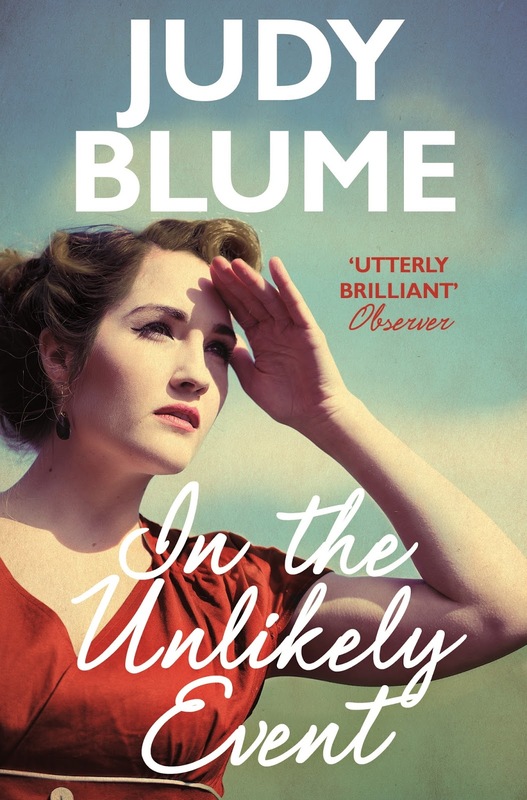 Judy Blume's 'In the Unlikely Event' is mostly a flashback to the narrator's junior high days. The narrator, and all those around her, are touched closely by tragedy, repeatedly. And the events themselves weren't the only tragedy - the effects it had on everyone were definitely life-changing, and we really have no idea where any of them would have ended up without this unavoidable influence. If you like books that are really all about the characters in them, this book is for you. I knew the writing style would flow for me, but the actual story was a shocker for me. I can't say much more without spoiling that for you, but I can say I definitely recommend this book. I may check this one out, I love her books. Thanks for the review! I used to read Judy Blume books growing up! I will probably have to check this one out! I've read a few of her adult books. This sounds like a good one. Sounds like an interesting read! Might check this one soon!